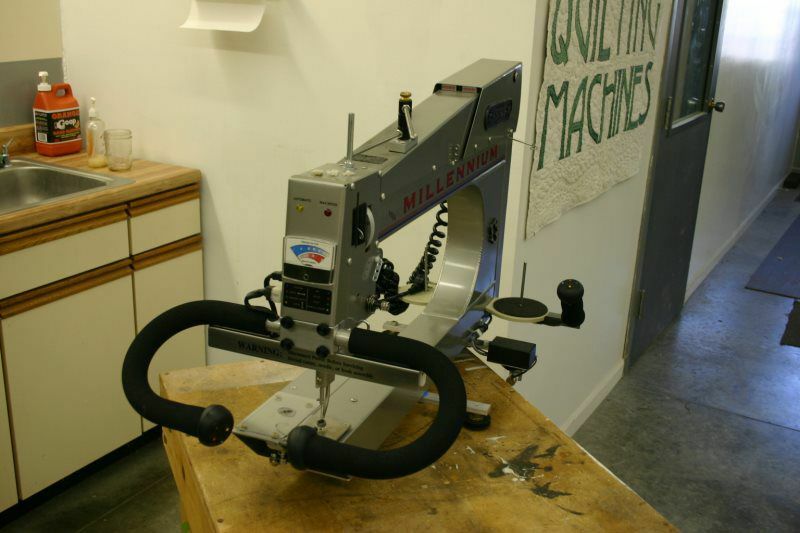 For more information about our used Nolting Machines, please click here. 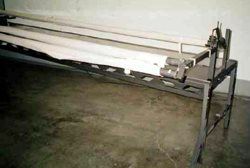 Used commercial frame that can quilt up to 54" wide quilt. Great for snowbirds or the cabin or the show booth. Comes with Quilters Cruise Control and Inspira frame. 9" reach. 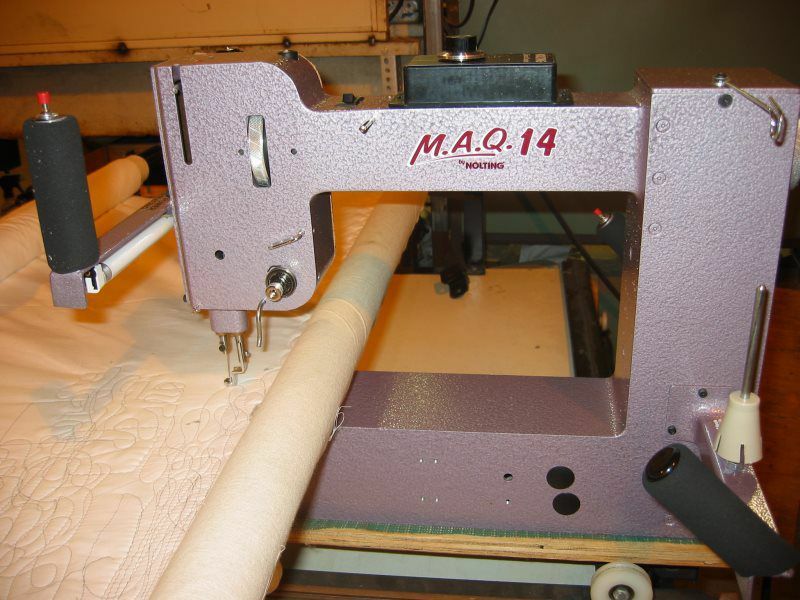 Trade in on a bigger Fun Quilter system. 14" x 8" hobby machine. It sits on almost every frame. Standard speed control. 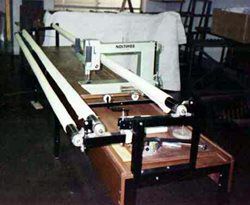 Same handles and sewing mechanism as the larger machines. Purple. Traded in for one of our larger systems. Traded in for one of our great Nolting machines. 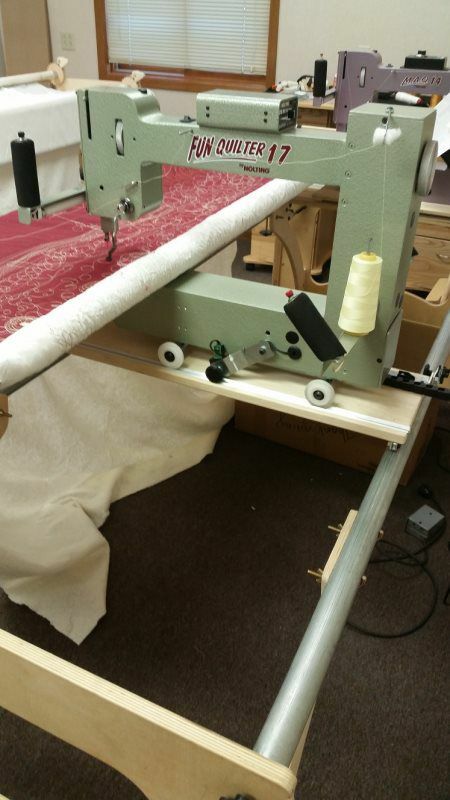 This Voyager 17 has been refurbished, stitch length regulator and USED Stretch frame. Usual paint crack at splice point. Sews like a new one. 26" with stitch regulator and 12'' frame. Comes with the usual accessories. 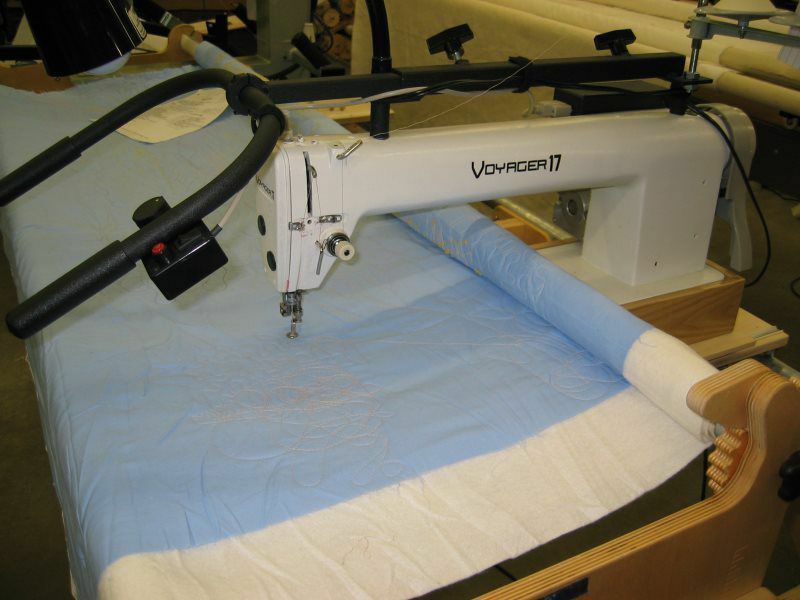 18" Handi Quilter with stitch regualtor and 12' steel frame. 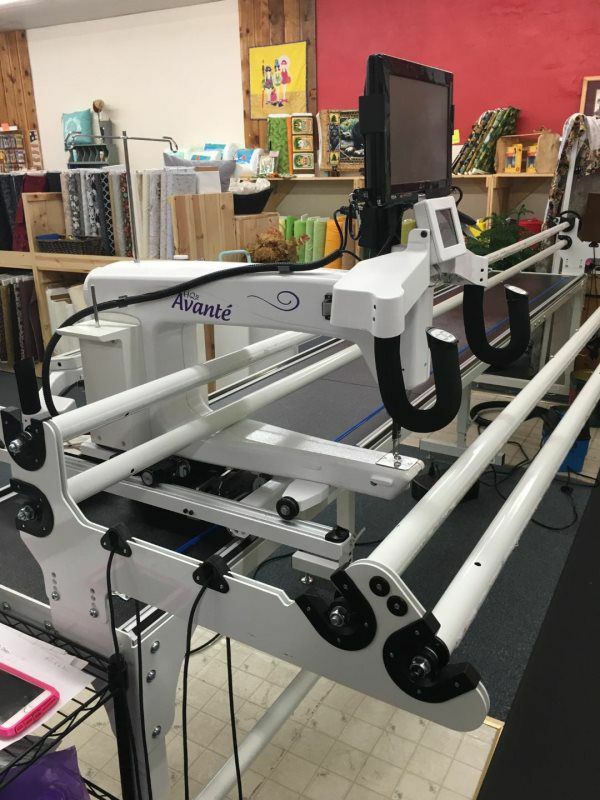 Has Pro Stitcher computer system. Traded for a larger Nolting.